Kyle Lui is Principal at DCM Ventures where he helps entrepreneurs scale their companies and advise on product development across IOT, consumer internet and mobile and enterperise Saas. Prior to DCM, Kyle was Co-Founder at ChoicePass, a enterprise perks and rewards Saas company backed by prominent angel investors, later acquired by Salesforce.com and Rypple. At Salesforce, Kyle served as Director of Product Management on the founding product team for Work.com, growing the business to over 1,000 enterprise customers. How Kyle made the leap from Startup Founder to Venture Capitalist? How did Kyle learn to code? How did Kyle feel on selling ChoicePass to Salesforce? What was it like working in such a large company, such as Salesforce? How did your role change when Salesforce was acquired? What was the most difficult element faced by Kyle in his time at ChoicePass? Where does Kyle see the future of incentivising employees and how important is this aspect of corporate life? When investing in a company what aspects really attract you to a deal and what can be a real red flag? Are University and College degrees necessary for you to invest in a founder? Is Kyle concerned that a potential increase in regulation could damage his investment in Eaze, medical marijuana delivery startup? We conclude today’s show with a quick fire round where we hear Kyle’s thoughts on what Kyle would do if all he had was a laptop and $100, what advice Kyle would give to entrepreneurs starting a company? 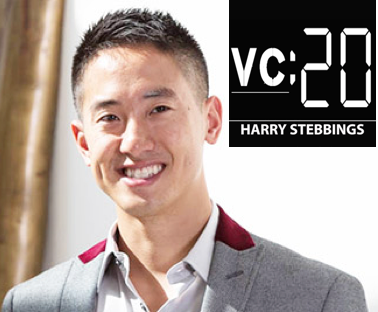 If there are any VCs you would like us to interview, send an email to harry@thetwentyminutevc.com and we will arrange it!